TAMPA, FL- All preliminary results point to a record breaking surge in youth voter turnout in the 2018 midterm elections. Students working with the Public Interest Research Groups’ New Voters Project made over 375,000 Get Out the Vote contacts in 11 states to turn out their peers leading up to the election and over 150,000 GOTV contacts in the last 12 hours alone. Voter turnout for every generation – Millennials, Baby Boomers, and Gen Xers – when they are 18-24 has been lower than older age groups because we do not provide young people with the tools and resources they need to vote. What the preliminary numbers from yesterday shows us is that when we invest in helping students through the registration and voting process, it pays off. Big time. In California, student turnout was so unexpectedly high that PIRG staff worked with county officials to open more polling stations at UC Santa Cruz and UC Riverside. One polling locations at UC San Diego ran out of ballots. At UC Riverside, they used all 1,000 provisional ballots that were originally delivered to that precinct; when the Board of Elections ran out of provisional ballots countywide, students had to vote using an electronic ballot that only allowed a single person to vote at time. But it’s not just campuses where PIRG worked. The lines on campuses across the country lasted until midnight in places where GOTV campaigns – partisan and nonpartisan – had worked to mobilize the youth vote. In Arizona, the lines were so long that Young Invincibles organizer Kathryn Quintin bought out all of the dough at a local pizza shop in Tempe, AZ from handing out so many pizzas and breadsticks as students waited. They resorted to handing out chicken tenders. PIRG’s student run peer-to-peer operation was able to reach potential student voters that would not have made it to the polls. In the three days leading up to the election, PIRG volunteers on 50 campuses talked to more than 20,000 students in class announcements, spread the word toover 28,000 students to vote at tables and dorm storms, and sent over 70,000 text reminders. 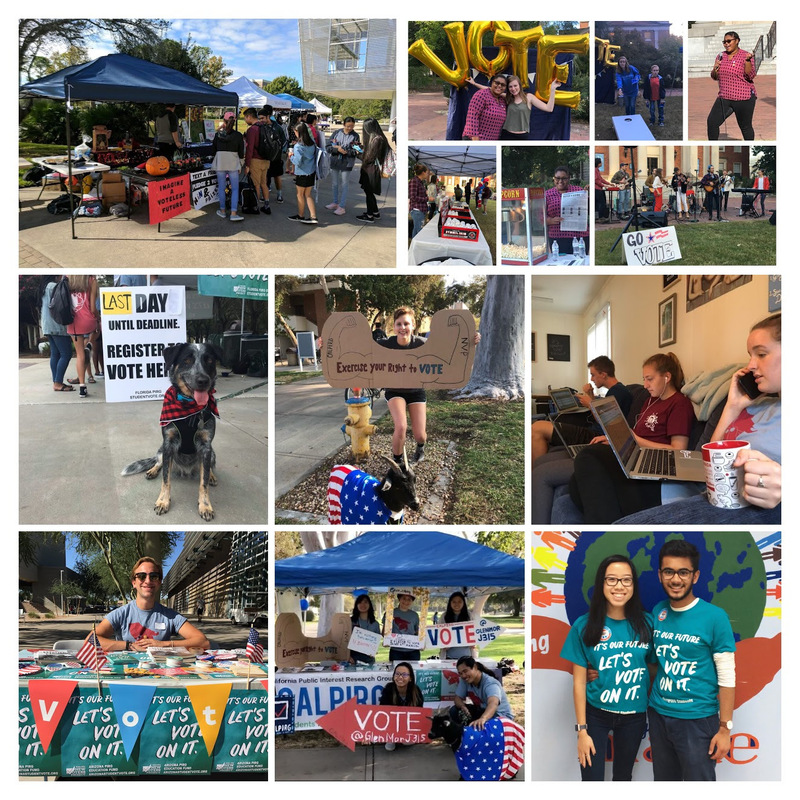 Students working with PIRG also hosted 20 parties at polling locations across the country featuring live music, sumo wrestling suits, petting zoos, free food, games, and more. The Student PIRGs’ New Voters Project is one of the largest on-the-ground, non-partisan, youth voter mobilization campaigns in the country. Over the past 30 years, we have helped to register more than 2 million young people and make millions of get-out-the-vote reminders.